A World of Struggle reveals the role of expert knowledge in our political and economic life. 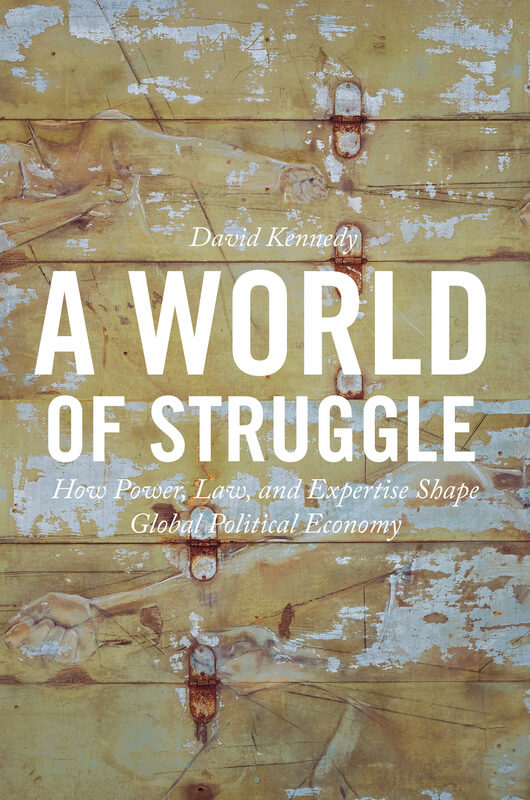 As politicians, citizens, and experts engage one another on a technocratic terrain of irresolvable argument and uncertain knowledge, a world of astonishing inequality and injustice is born.In this provocative book, David Kennedy draws on his experience working with international lawyers, human rights advocates, policy professionals, economic development specialists, military lawyers, and humanitarian strategists to provide a unique insider's perspective on the complexities of global governance. He describes the conflicts, unexamined assumptions, and assertions of power and entitlement that lie at the center of expert rule. Kennedy explores the history of intellectual innovation by which experts developed a sophisticated legal vocabulary for global management strangely detached from its distributive consequences. At the center of expert rule is struggle: myriad everyday disputes in which expertise drifts free of its moorings in analytic rigor and observable fact. He proposes tools to model and contest expert work and concludes with an in-depth examination of modern law in warfare as an example of sophisticated expertise in action.Charting a major new direction in global governance at a moment when the international order is ready for change, this critically important book explains how we can harness expert knowledge to remake an unjust world. Otros ebooks de DAVID KENNEDY.